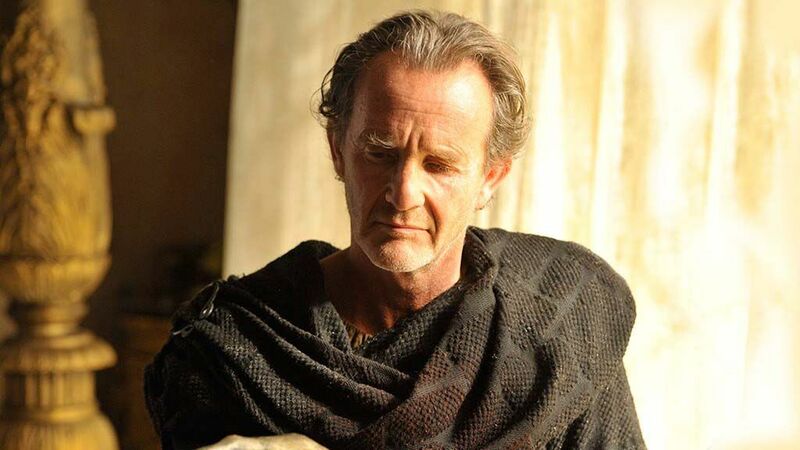 At Collectormania recently, Flicks And The City sat down for a lovely chat with actor Anton Lesser, who Game of Thrones fans will know as ex-maester Qyburn, whose medical practices are a bit on the experimental side, shall we say. In season 4 so far, we’ve seen him fit Jaime Lannister with a golden hand to replace the one he lost when Locke lopped it off in season 3. But, as he tells us in our interview, there’s more to come! Check out our video to see Anton Lesser chat about appearing at his first comic con, joining the Game of Thrones world, his scenes in Game of Thrones season 4, fitting Jaime Lannister’s golden hand, filming with Nikolaj Coster-Waldau and Lena Headey, filming with Hafþór Júlíus Björnsson who plays Gregor Clegane aka The Mountain, what he thinks of Pycelle calling Qyburn “a deplorable man”, Qyburn’s unorthodox medical methods, his fives scenes in Game of Thrones season 5, what he’d like Qyburn to do in season 5, why you have to be needed by somebody in power in order to survive in the Game of Thrones world, what he thinks about the possibility of a Game of Thrones movie, and his reaction to Joffrey’s death at the Purple Wedding.